It has been declared by Turkish Culture and Tourism Minister Mr. Nabi AVCI that Turkey is the 6th largest country in the world and it targets to take its place among top three. Mr. AVCI meeting with a group of workers in Eskişehir stated that tourism is not only about “sea, sand and sun” and Turkey is determined to get involved in other areas of tourism. The minister explained that the target was to be among top three in tourism and went on to say; “Here is a good example of what can be achieved by a change of vision”. Although the market potential for this area is limited to potential from countries such as Russia, Germany and England we are still the 6th largest country in the world and the fourth in Europe. 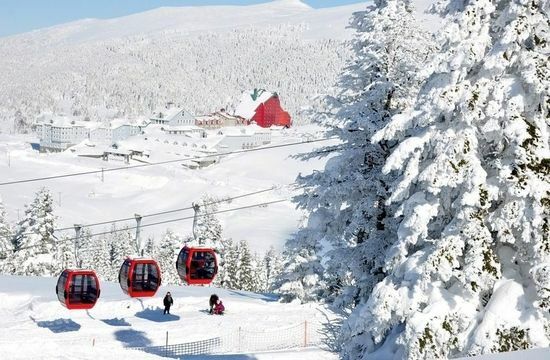 The good part in Turkey has much more to offer than sea, sand and sun tourism and enjoys great potential for winter tourism. The administration is now working with Ski Federation to improve the potential for concerned facilities such as tracks and accommodation alternatives. The minister went on to say “You can rest assured Turkey alone is better than the sum of all Europe in terms of track potential. This potential however has not been evaluated, yet. Our target is to take our place among top three in the sector. Because we see, we have the potential for a multifold growth when we integrate alternative areas of tourism to cover winter sports, gastronomy, thermal and health into our current operation. In other words, this is to say Turkey has an open horizon in terms of tourism opportunities and will soon reach the targets it deserves.